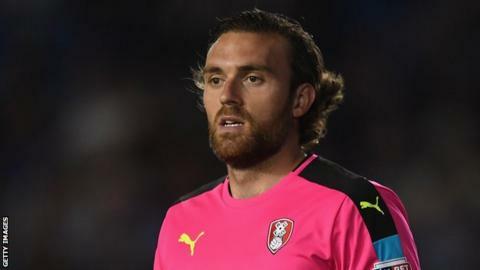 Goalkeeper Lee Camp believes, from past experience of relegation battles, that Sunderland can avoid dropping out of the Championship this season. The Black Cats are currently three points from safety after Saturday's exciting 3-3 draw with Bristol City. Camp, on loan from Cardiff for the rest of the season, was part of the Nottingham Forest side that avoided relegation to League One in 2008-09. "There are similarities in the dressing room," Camp told BBC Newcastle. "Confidence is a big thing, a bit of luck and the rub of the green helps. "Essentially, it comes down to us being organised, being disciplined, doing the right things and sacrificing a few things along the way and the result will come." Saturday's thrilling draw at Ashton Gate saw Sunderland claw back from conceding three first-half goals to level in the final minutes of the game thanks to Aiden McGeady's effort and two own-goals. Chris Coleman's side have scored 34 goals - more than six of their bottom-half rivals - but they lost 12-goal top scorer Lewis Grabban in January after the striker's loan spell from Bournemouth ended. Conversely only bottom side Burton Albion, who have conceded 58 goals, have let in more than the Wearsiders' 55. "There are goals in the team," Camp added. "Ultimately you've got tighten up at the back, we can't be giving teams a one, two or three-goal lead. "We start with being strong and disciplined. Hopefully we've stemmed the flow of goals and that gives the boys up front less pressure so, when they do score, the goals count."